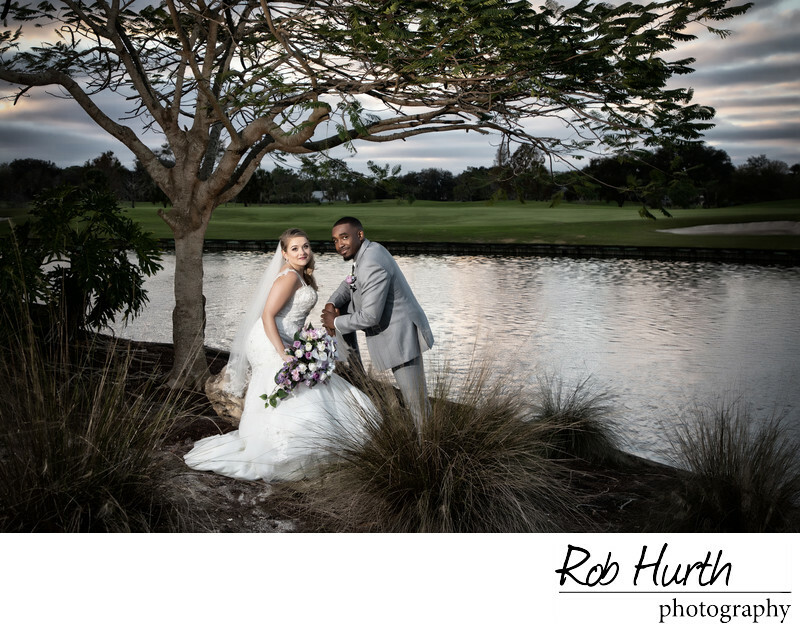 Heather and Ray pulled off a STUNNING wedding at Laurel Oak Country Club, in Sarasota, FL. This awesome couple knew, going in, how valuable their wedding images are to them. From our consultation together, they arranged plenty of time to for us to be able to create gorgeous portraits for them, and, never once, tried to rush us through. This made for a tremendous experience for this couple. They really allowed their love for one another shine through in their images. They chose the ideal venue for their wedding and reception, with Laurel Oak Country Club; it allowed for variance from the very popular beach weddings, we so many of. This makes it quite unique, to Heather & Ray. I'll bet they have a very difficult time in narrowing their choices for their wedding album. They may decide to expand their album, or, create a companion album... When I say these two belong on a cover of a wedding magazine, there's no exaggeration in that comment. Both Heather & Ray, are charming, caring individuals, and, they are surrounded by family and friends who are of equal character. I, and, my team, enjoyed every moment with them; I look forward to working with Heather and Ray in the future, as well as their family and friends. Location: 2700 Gary Player Blvd, Sarasota, FL 34240.